The Science and Discovery series recreates history's 4,000-year journey to better understand the world through scientific means. Scientific discovery has often disrupted conventional wisdom. This is a story of vested interests and independent thinkers, experiments and theories, change and progress. Don't miss the rest of the Science and Discovery series. There is a lot of information in this. I listened several times, gaining something new each time. 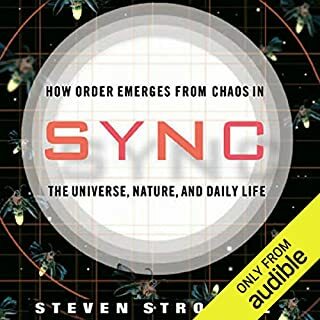 The "actors who employ various hokey accents" bugged me, like the previous reviewer, until I found out at the end that at least one of the voices was actually Ilya Prigogine, the Nobel Prize winning physical chemist who discovered much of the content. I was honored to have that voice. There is a lot of information in this book. It bounces around many disciplines, attempting to weave biology, chemistry, physics, philosophy, and economics together to show common threads. This is tough to do and tough to digest. For me, it was worth it. I have to give it a five to balance out the previous reviewer's 1. I almost didn't get this because of that review. That would have been a shame. 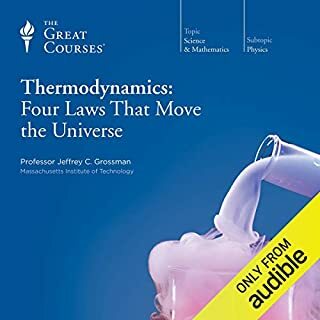 I couldn't listen to this book for more than 15 minutes. It characterizes "regular" science as unwaveringly Newtonian and Euclidean in order to set fire to an imaginary scientific straw man that never existed. 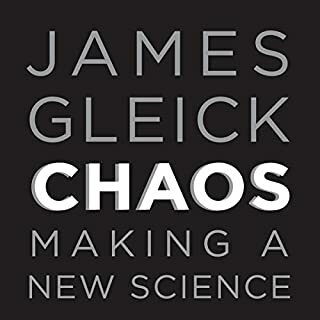 The author apparently wants to clear the way for a supposedly much better science of complexity and chaos. 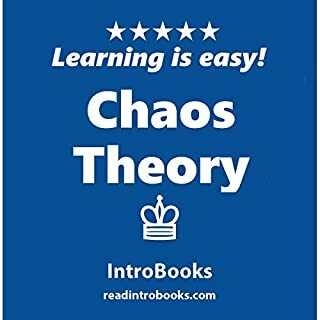 The science of complexity and chaos doesn't need this kind of special pleading; please give me a book that explains chaos theory without all the slah and burn! The ahistorical attitude that "science used to be so rigid but now at last it's getting good" shows an ignorance of BOTH science and history. And one more thing before I go delete this waste-of-space from my iPod. 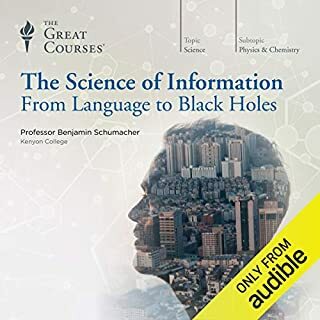 The author uses a lot of quotes from various scientists to illustrate his ideas - a technique I like - but the audiobook editors of this version insist on having these quotes read by actors who employ various hokey accents (gutteral Germanic intonations, suave fake-French pronounciations, Masterpiece Theater Britspeak, etc.). This is a terrible distraction and only further frustrated me as I attempted to plug away at this book. 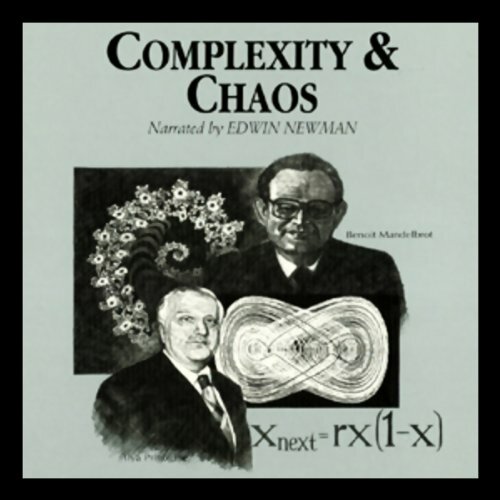 If you want a good general explanation of complexity and chaos, look elsewhere. 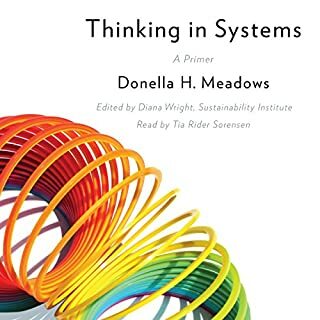 Over the past two months or so I've been getting into complexity science and have been looking for a resource like this, it hit the spot for me! I have listened to a number of books in this series, especially in economics. The information is always good, the topic selection superb. But I agree with other reviewers that the dramatic production is way too... dramatic. The quotes sound as if they were being read by drunken thespians overacting their ten second roles. It would be merely funny except that their impersonations of German scientists or French statesmen are nearly impossible to decipher. (Sorry, but it doesn't help that some are real German scientists.) Maybe it was worth a try, but I wish they would record the whole series over again with a simple, well-paced reading. I thought it was a very nice book. I am unsure why all the bad review. It definitely open my mind.